An improvement on the last few weeks. 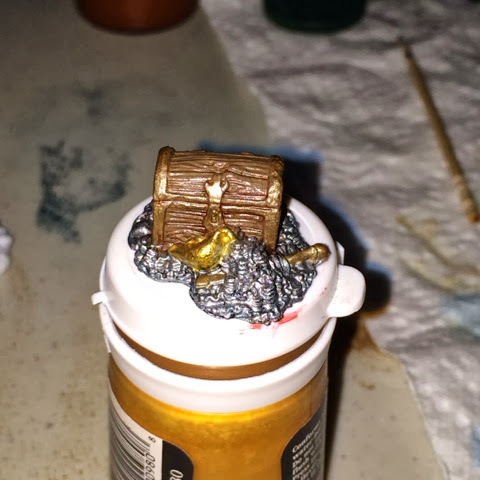 Bones painted: 1 A treasure chest. I will probably come back to this one to do a wash to bring out the coins, and redo the metal bands in a brass rather than the current metally brown I got by mixing brown and silver.